To ensure the Rival 100 met the rigorous standards of eSports players, we asked the pros themselves. SteelSeries worked hand-in-hand with our sponsored teams, gathering feedback and data that helped us refine the Rival 100 for eSports. How do I know if the Rival 100 is the right gaming mouse for me? Great question! The Rival 100 is the perfect gaming mouse for gamers who want an affordable mouse that is also equipped with a fantastic optical sensor. Alternatively, you can use our interactive mouse guide, and compare the Rival 100 with our other gaming mice here. Does the Rival 100 have a nameplate that can be customized? Unfortunately, no, the Rival 100 does not have a nameplate. What material are the side grips made of on the Rival 100? The side grips on the Rival 100 are a textured plastic. Can I set a custom CPI for my Rival 100? 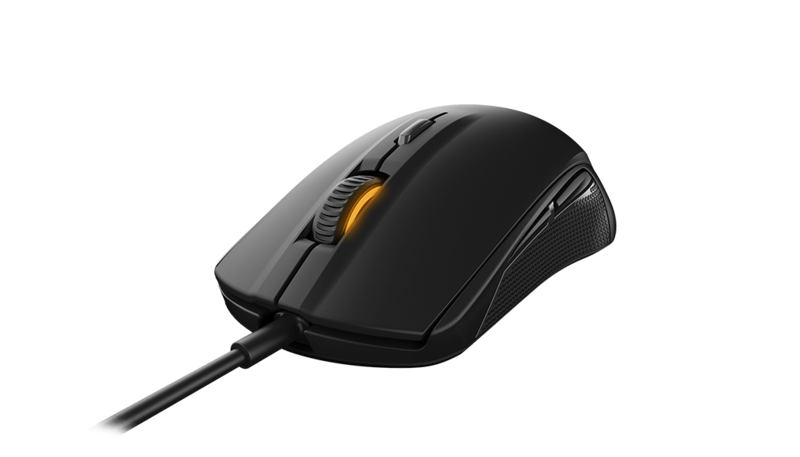 The Rival 100 only allows for CPI to be set at specific intervals, from a range of 1 to 4000. Is the cable on the Rival 100 braided or non-braided? The Rival 100 features a non-braided cable.